Caprese salad is a classic Italian summer dish. I usually either have it as a starter at a restaurant, or I make it as a side dish for a BBQ or picnic. But I wanted it to be a main dish, so adding it to chicken just made sense. You get all the flavours of the caprese salad, but with some added protein too. 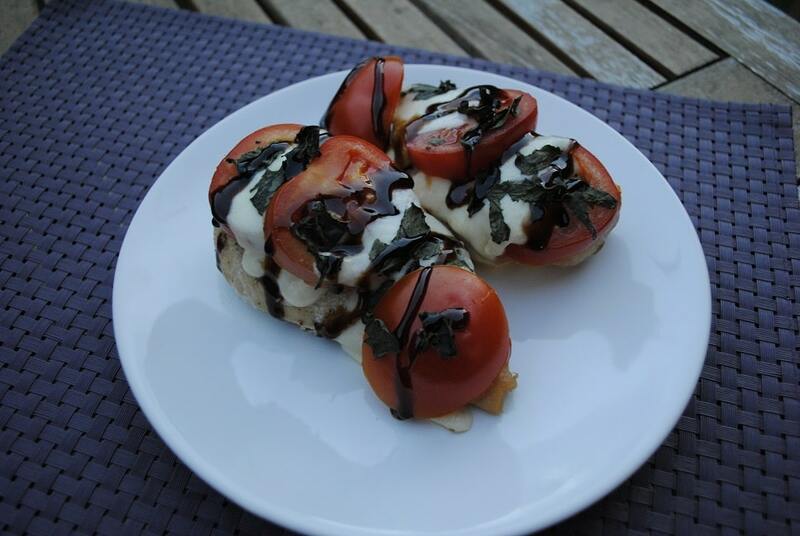 Caprese Chicken just became a thing! This is such an easy dish to make and it doesn’t need much attention, so you can literally put it in the oven and leave it. They would cook really well on a BBQ too and they would be a crowd pleaser. You might have noticed that I am posting a lot of quick to prepare/cook meals over the past couple of weeks. I don’t think I have ever been so busy in my entire life. I am not complaining, keeping busy is a good thing, but after I have spent hours in the kitchen doing recipe development for the book, I don’t feel like spending much extra time in there cooking dinner. 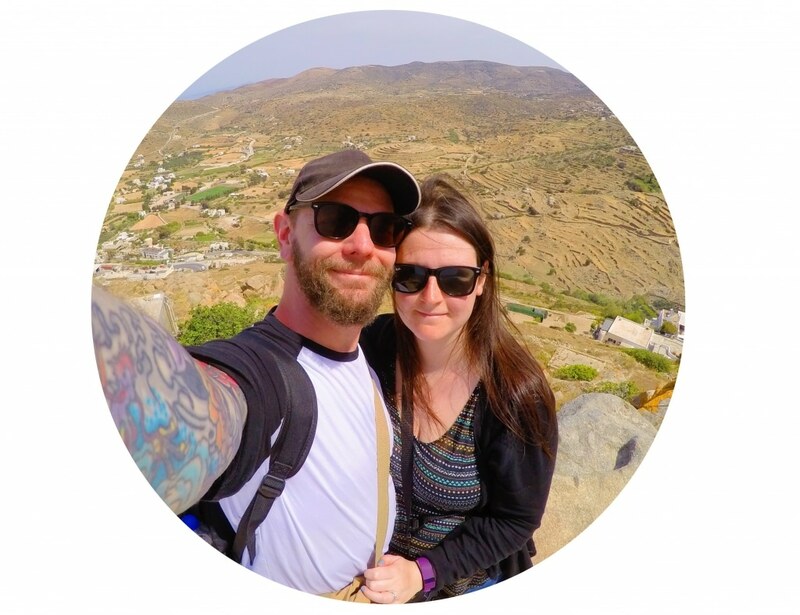 So expect to see lots more quick and easy meals, as I know that time is an issue for many of you as well. Is anyone else already dreaming of summer BBQs? I think it was meant to be spring? But it’s gone again 🙁 I want to sit in the garden with a cocktail. Oh, and I can put my hammock up again. Yay! I made crispy lemon potatoes and a salad to go with this to make it a complete and delicious meal. It would also go really well in a burger too. I have a bit of a burger obsession at the moment! Caprese salad is a classic Italian summer dish,so adding chicken just made sense. 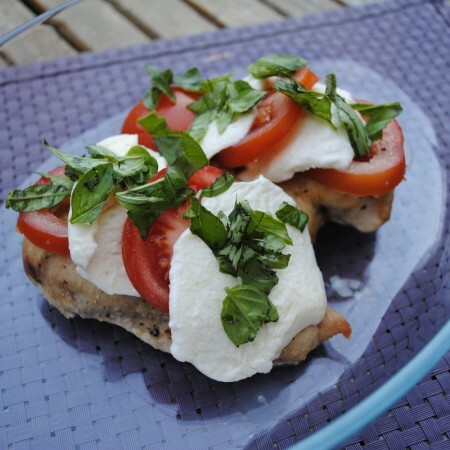 Caprese Chicken is all the flavours of the salad, but with added protein. Preheat your oven to 200C/390F. Layer the mozzarella and tomatoes on top of the chicken and then sprinkle with the basil. Put back in the oven for 5-10 minutes, until the cheese has melted. Drizzle with the balsamic glaze. 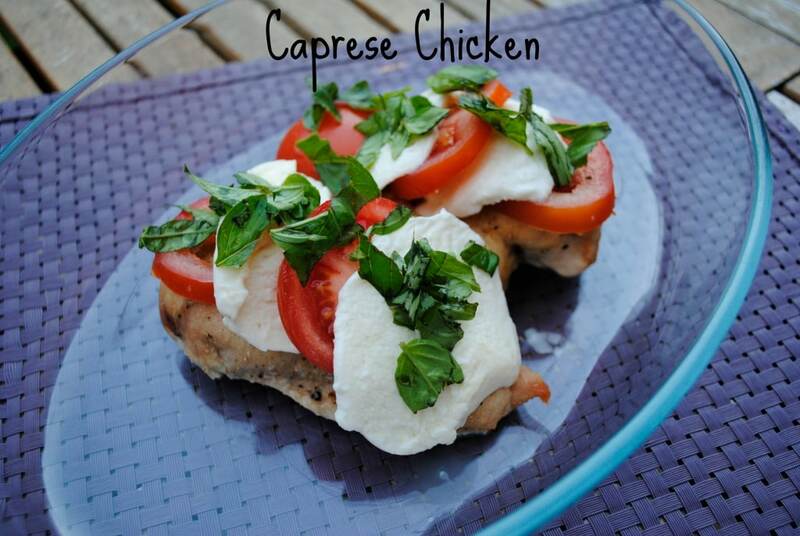 I LOVE Caprese inspired meals – this chicken looks incredible! This dish looks so simple yet so flavorful! Normally I fill up on caprese and then have no room for the main meal, so I love that this contains both! Mmmmm…some of my very favorite flavors here! Love it, Dannii! Loooove me some caprese. Looks like a perfect way to spice up some roasted chicken breasts! NOM. I love this recipe and it’s so quick and easy. You can’t ever go wrong with those ingredient combinations. A classic that always pleases! Caprese is seriously one of the best things in the world. So fresh and yummy! Such a delicious combination of flavors. I love this recipe! Dannii, I love caprese anything!!! it’s like the perfect spring/summer food! I love seeing the colors from the Italian flag! 😛 and your crispy lemon potatoes sound awesome!!!! what a perfect meal!!! love! 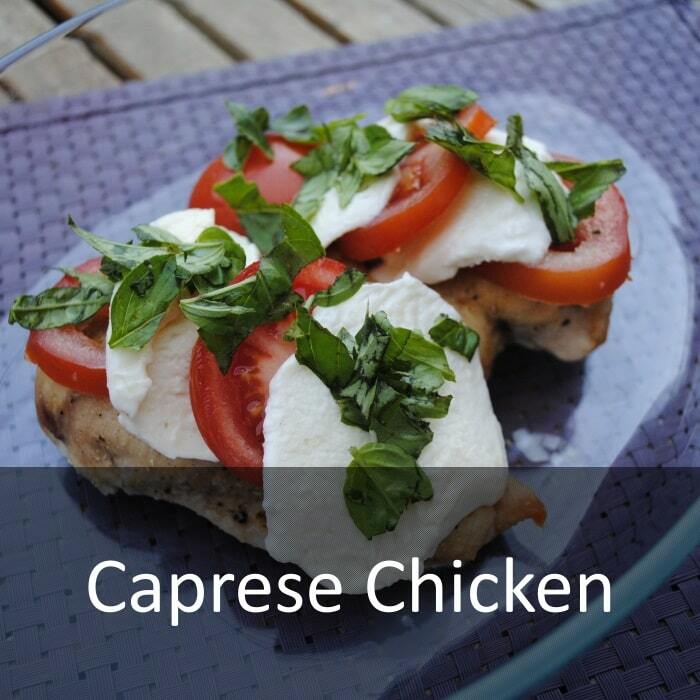 This caprese chicken looks delicious, Dannii! Love how easy it is to make and the light flavors makes it perfect for spring and summer!